You already know that email marketing is a fantastic marketing tool, with 72 percent of consumers saying they prefer email over other methods of communication from companies they do business with. 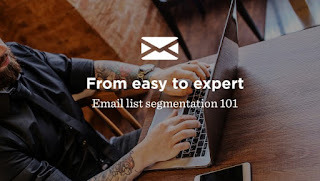 To capitalize even more on the power of email marketing, consider segmenting your email lists – a smart and relatively simple way to boost your open and click-through rates. When you segment your lists into different groups based on demographics, habits, and more, you can email information and news relevant to each specific group — making those readers much more likely to act on the emails they receive. For help with your email list segmentation, check out our Email Segmentation 101 infographic below. And for more unmissable tips and advice on email list management, download our free eBook, Complete Guide to Email List Management.